Rani is a child who is being brought up by her mother, Kamla, as her dad has gone out of the town on business. Both mother and daughter live with their cruel and selfish relatives. One day Kamla gets the news that her husband is returning, and she is overjoyed. This joy turns to sorrow when she finds out that he has passed away in an accident. Shortly, thereafter she too passes away, leaving poor Rani at the hands of the cruel relatives. Rani loves her parents, as they are her world, and she undertakes a journey into the netherworld to try and bring her parents back to life. 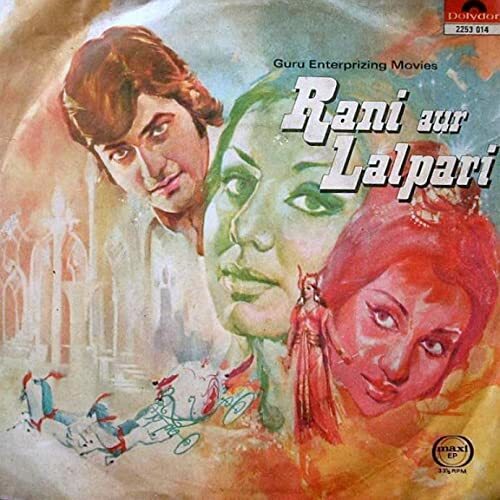 This movie also features the story of Cinderella and Gulliver's Travels, in two songs.Rani is a child who is being brought up by her mother, Kamla, as her dad has gone out of the town on business. Both mother and daughter live with their cruel and selfish relatives. One day Kamla gets the news that her husband is returning, and she is overjoyed. This joy turns to sorrow when she finds out that he has passed away in an accident. Shortly, thereafter she too passes away, leaving poor Rani at the hands of the cruel relatives. Rani loves her parents, as they are her world, and she undertakes a journey into the netherworld to try and bring her parents back to life. This movie also features the story of Cinderella and Gulliver's Travels, in two songs.